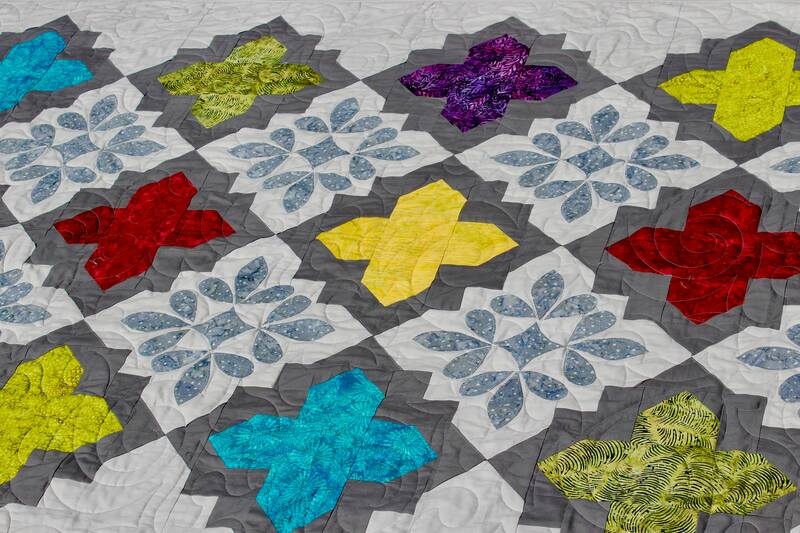 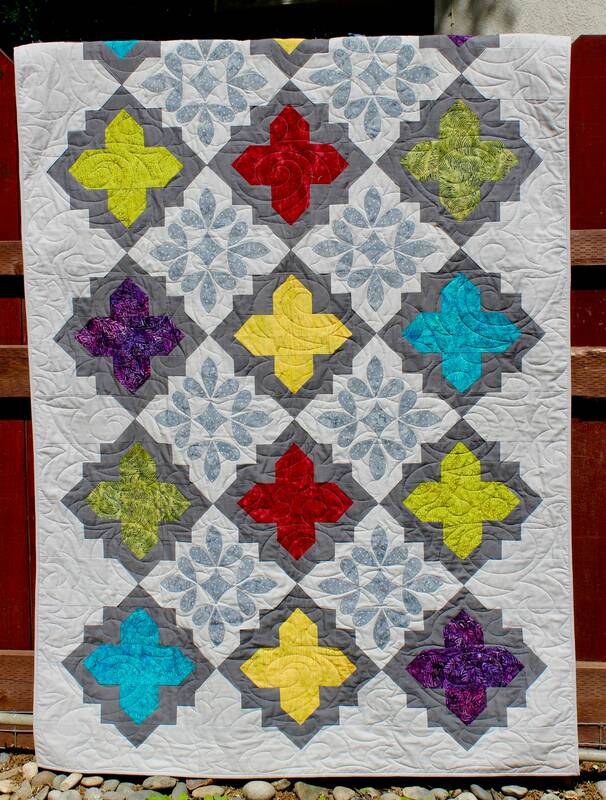 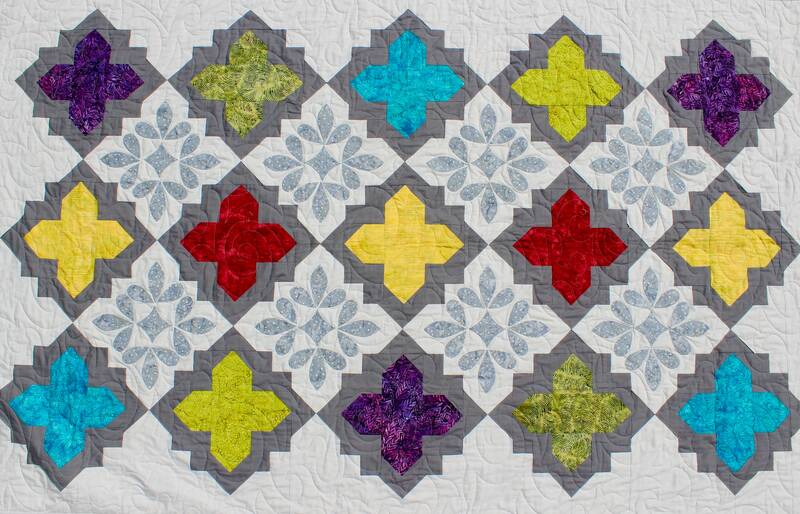 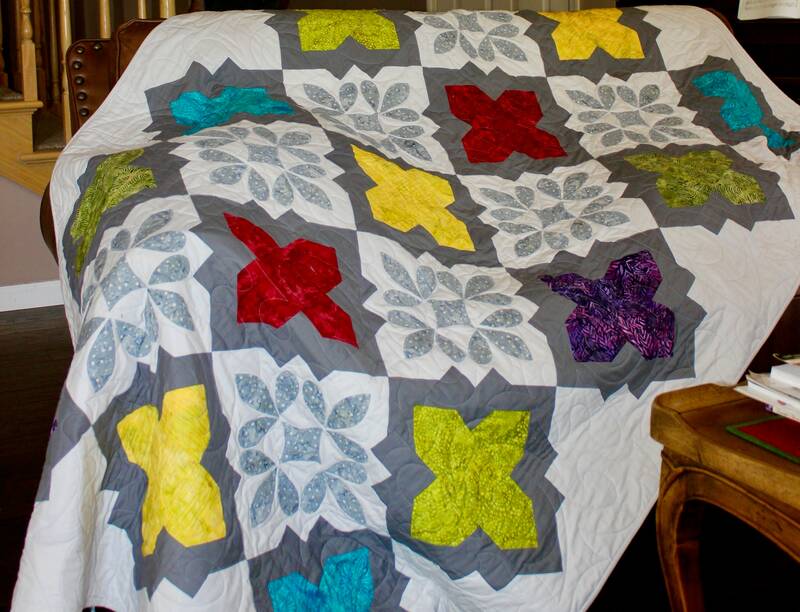 Shades of grey and vibrant batiks to create this eye catching quilt. 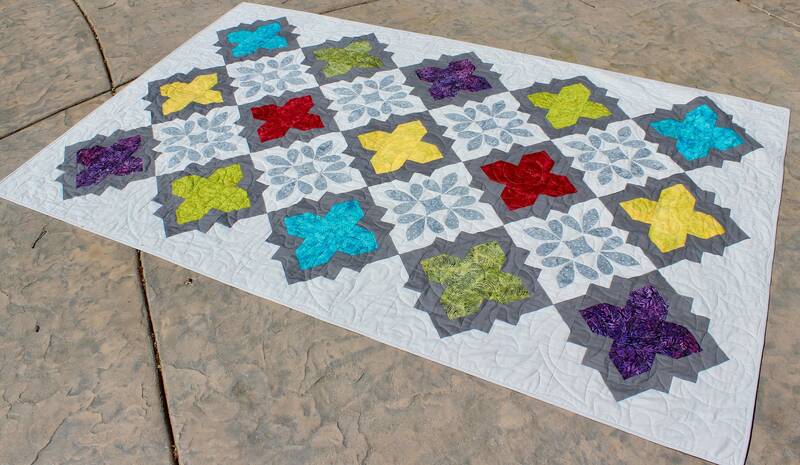 You can make it as subtle or as bold as you like using my pattern. 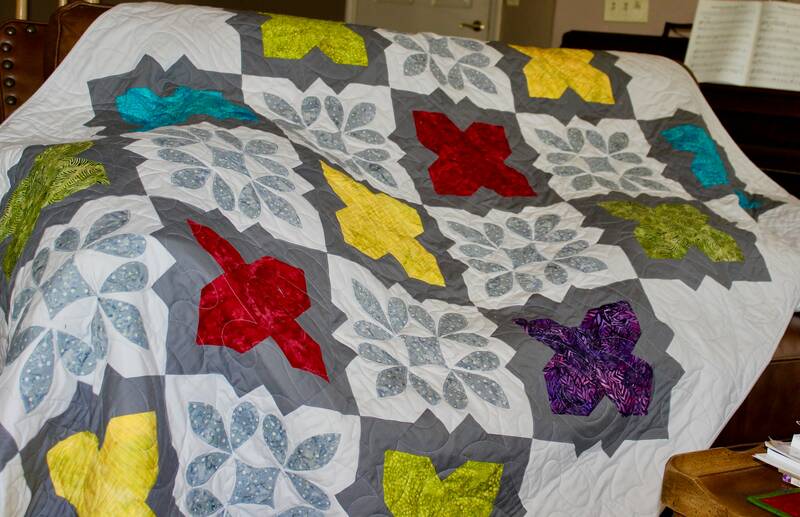 It is also easy to enlarge it to full or queen size by adding extra blocks. 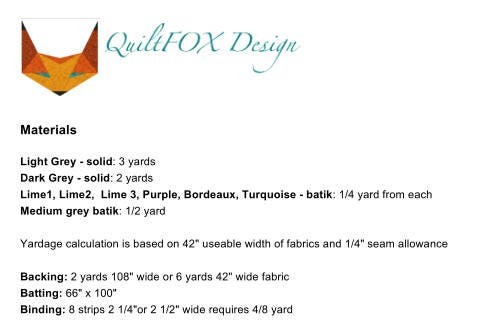 The pattern gives you step by step instructions which are illustrated with lots of images.